Posted in: Media Release, Reward, WANTED. At 7:15 am, Franklin Police Officers were summoned to NHC Cool Springs, 211 Cool Springs Boulevard, to investigate a suspicious device. Arriving officers found what appears to be a bomb inside of an employee’s car. The device was discovered by an NHC employee who was ending her shift. Officers began the immediate relocation of approximately 60 patients to other parts of the building. Franklin Fire Department, Williamson County’s EMS, Emergency Management, and Sheriff’s Office all responded to assist. Bomb Specialists from the THP, ATF, and FBI are on-scene working to safeguard the device. There are approximately 220 patients in the facility; all have been moved to safe portions of the facility, which is currently closed to the public. 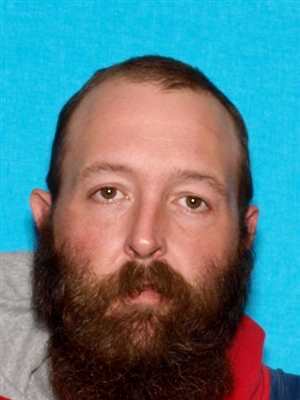 Franklin Police have identified Mitchell Hunter Oakes as a person of interest in this case. Oakes is 6’3”, 240 pounds, with brown hair and brown eyes. The vehicle he may be driving is currently unknown. Oakes may have ties to Crossville, Pikeville, and Cookeville. Oakes is a convicted felon with a violent history and extensive knowledge of bomb making and weapons. He is considered armed and dangerous, and currently wanted on a felony warrant out of Virginia. If you see Mitchell Oakes, call 9-1-1. Franklin Police and the ATF are offering a reward of up to $7,500 for information leading police to his whereabouts. Call (615) 794-2513. The media staging area for public information regarding this case is 1000 Windcross Court, Franklin.